Epilepsy made a sudden and unexpected late night call to our house last week. He hadn’t been invited and I think it was a bit rude to turn up unannounced at 10:30pm while I was enjoying a glass of wine and watching The White Queen. It was sneaky, I think, to wait until the one night that I’d put Little H to bed without the SATs monitor on but I caught Him on the video monitor all the same. Little H had had a lovely day at the farm – laughing at the noises the animals made, giggling when the sheep licked the food off his hands. I’m not sure why Epilepsy wanted to spoil that. But He was angry and came in with a vengeance I’d not seen in a long time. He tried to take my baby again. Three times Little H turned blue. Each time more and more navy than the time before. His little finger tips nearly black from the lack of oxygen; the SATs monitor screeching its high pitched warnings. I breathed life back into his lungs and begged him to come back to me. It’s been 21 months since I’ve had to give Little H midazolam, I could barely remember how much to give – maybe that was why Epilepsy had waited so long; I’d started to become complacent, He thought He’d catch me off guard. But I did remember, just in time and after four long minutes Little H gasped for air and Epilepsy left his body; weak and pale and breathing. Little H slept by my side all night; the still and lifeless sleep of the heavily sedated. I watched and waited; a lioness protecting her cub, ready to pounce should the predator return. And return he did, as the sun began to rise. First slowly, but growing ever stronger, lingering longer and longer each time. Trying again in the car on the way to hospital was a sneaky move, but I was prepared – oxygen at the ready. At the hospital, first in resus, then in the High Dependency Unit, sedative after sedative was pumped through Little H’s veins, trying to flush the demon out. But time and time again he tried to take my son with him. I prayed and I cried and I watched and I waited. Not knowing what would be left of my son. 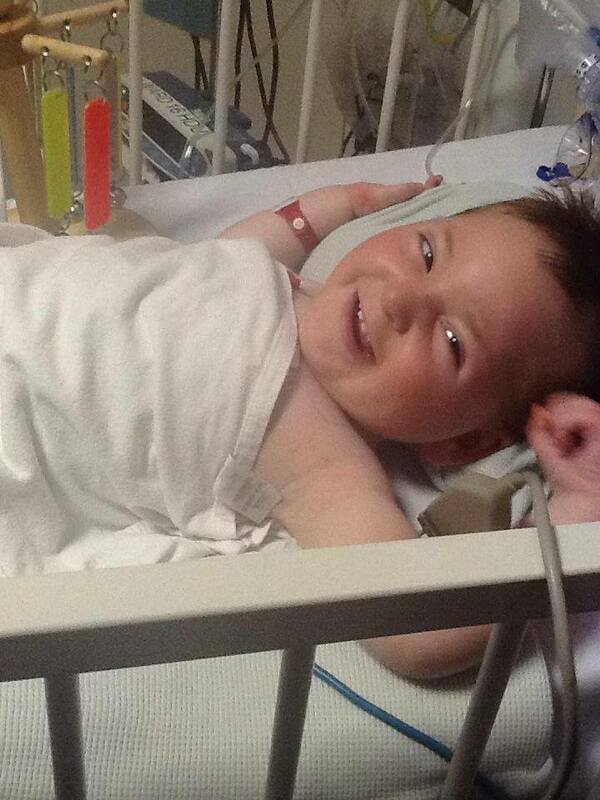 Epilepsy had ravaged his brain before – taking his beautiful smile. It took H two weeks to open his eyes, months to learn to hold his head up again. Powerless I waited to see what devastation Epilepsy had caused this time. My brave and beautiful, wonderfully smiley, Happy Little H.
Aww and a beauty he is. Well done little H, what a brave boy. Lets hope that one day the world will have the answer to this dreadful monster. Keep fighting Little H and mum you are a very strong woman.